BHEL is India’s leading engineering / manufacturing conglomerate in power and infrastructure sector. It was established 40 years ago and has specialized in installation of equipment for power plants, supply of transformers and other equipments for power transmission and distribution, supply of electric locomotives to Railways, supply of motors and valves etc. to many industries. BHEL also undertakes supply of non-conventional energy systems. BHEL is a public sector undertaking (PSU) with 67.72% stake held by the central government. It’s manufacturing plants are located at Bhopal (Madhya Pradesh), Haridwar (Uttarkhand), Hyderabad (Andhra Pradesh), Jhansi (Uttar Pradesh), Bangalore (Karnataka), Tiruchirappalli (Tamil Nadu) and Ranipet (Tamil Nadu). More than 65% of India’s entire power generation is carried out through the equipment supplied by BHEL. BHEL has acquired certifications to Quality Management Systems (ISO 9001), Environmental Management Systems (ISO 14001) and Occupational Health and Safety Management Systems (OHSAS 18001). Some of BHEL’s products and services are given below. BHEL’s steam turbines are used at various thermal power plants in India. Trombay (near Mumbai), Vizag (Visakhapatnam), Neyveli, Vijayawada and Tuticorin are some of them. These ‘special’ WCAM series locomotives (W = Broad Gauge, C = DC traction, A = AC traction, M = Mixed service i.e. both passenger and freight) can be spotted in and around Mumbai only. The overhead electrification system at Mumbai is 1500 V DC traction while rest of the country uses 25000 V AC traction. 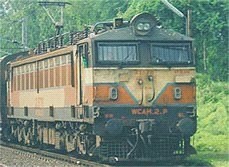 The locomotives are designed to run on both DC section (between Churchgate – Virar, Mumbai CST – Igatpuri/Pune) and AC section beyond Virar/Igatpuri). 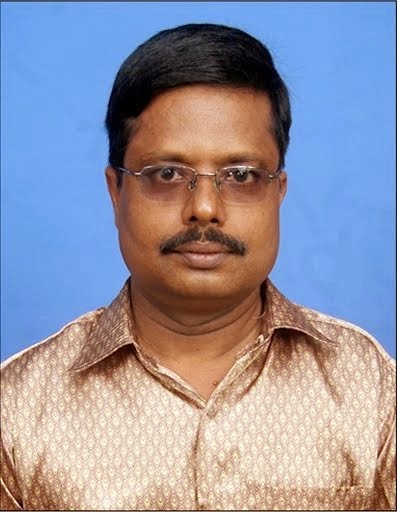 BHEL has executed power plant projects outside India viz. Malta, Cyprus, Libya, Egypt, Russia, Taiwan, Saudi Arabia, Iraq, Oman, Indonesia, Malaysia, Bangladesh, Sri Lanka etc. BHEL has exported products such as transformers, capacitors, bushings, switchgear, insulators, motors, high pressure valves and oil field equipment to many countries. It has undertaken consultancy services too. 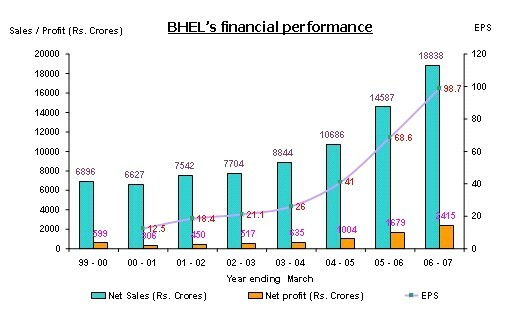 It can be seen that BHEL’s net sales, net profit and EPS over the last 7 years have grown consistently. As of March 2007 the EPS stands at 98.7. BHEL is a constituent of both Sensex (Free float market capitalization : Rs.29,990 crores and weightage: 3.17%) and Nifty (FFMC : Rs.84,589 crores and weightage: 3.59%). The yearly chart of BHEL is displayed above. The stock has performed very well in the last 5 years, compared to the index. Between 2002 and today, BHEL has gone up by nearly 20 times whereas the Nifty has appreciated from 1094 to 4190 or by 3.8 times. The monthly chart of BHEL is shown below. There are no reversal signs yet for the stock. In monthly chart, the stock is in wave 5. Note the long term breakout in March 2004. As of now, the trend is bullish. So the long term investors may hold the stock until a reversal is confirmed. As in the case of monthly charts, weekly charts are also not showing any kind of reversal patterns. So the stock is bullish in weekly charts too. Medium term investors also can hold their long positions in the stock. Medium term target for the stock, when calculated from the low of 766.50, works out to 2007. The daily chart indicates that the stock has corrected from a high of 1895 to a low of 1541. This corresponds to a close below 50% retracement which is a good support level. The short term traders too, can hold the stock. During the current uptrend, the stock will face some resistance at 1895. However, given the bullish nature in other charts, it is not likely to be a major one. Those who want to enter the stock for short term can do so in case the stock gets corrected. BHEL has been on an uptrend since the start of the current bull run in 2003. The stock is good for both short term and medium term term investments. The long term investors (who have held for more than 10 years) may book their profits partially as it has already appreciated more than 20 times.